Mark Sutcliffe has worked in the Arts and entertainment industries for over 20 years. With a background in marketing, he has held positions with the Seven Network, the Sydney Opera House and the Sydney 2000 Olympic Arts Festival and has consulted on many international tours including the Paris Opera Ballet, Vienna Philharmonic Orchestra, Bolshoi Ballet and The Royal Edinburgh Military Tattoo. 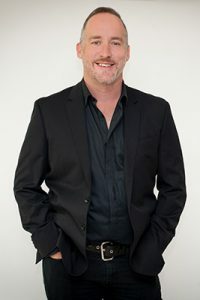 With a rich background working with the major arts organisations in this country including the National Gallery of Australia, the Sydney Theatre Company amongst others, Mark has also worked very successfully in commercial theatre as Marketing Manager for Global Creatures on King Kong and Strictly Ballroom. Mark also has worked for the Almeida Theatre in London as Director of Marketing & Communications. Since returning to Sydney in 2015 Mark has been Director of the Sydney Symphony Presents, the commercial programming portfolio of the Sydney Symphony Orchestra. This has showcased talent such as Diana Krall, Lea Salonga, Josh Groban and Paloma Faith, a concert presentation of the musical Funny Girl, as well as film-in-concert projects such as La La Land, the Star Wars and Harry Potter franchises and the World Premiere of Mary Poppins in Concert.